Awarded for participation in a campaign to reduce an enemy of NATO to Zero Infastructure. Anu Njero 23 January 2011 - 10:46 PM Per phpBB service record. 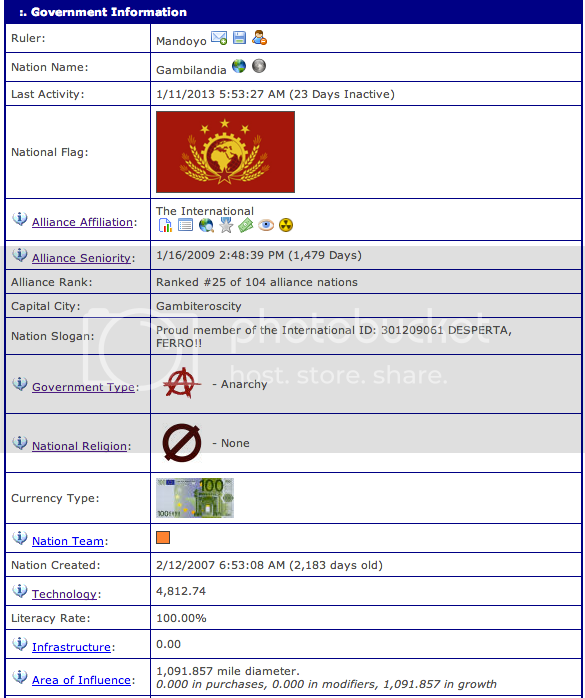 AudeVivere Njero 12 August 2012 - 01:14 PM For achieving a ZI against the enemy during the Dave War.